Playa Hotels & Resorts' Kevin Froemming, Executive Vice President and Chief Marketing Officer talks with TravelPulse Canada's John Kirk. 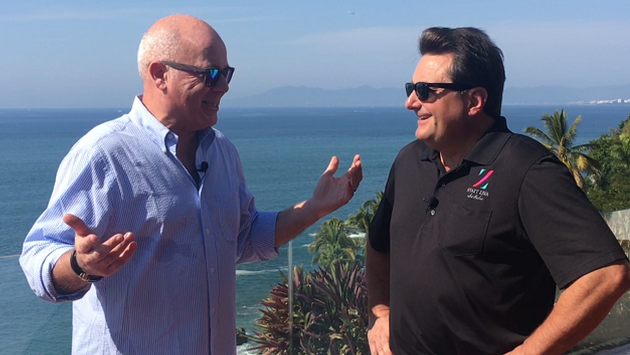 Recently, during the Playa Resorts Travel Agent awards event, The SpotLight Awards, held at the Hyatt Ziva Resort in Puerto Vallarta, TravelPulse Canada was able to spend some time with Kevin Froemming, Executive Vice President and Chief Marketing officer for the group . And what a group it is. 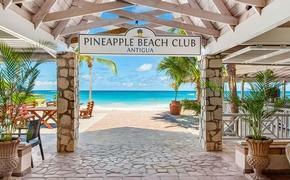 In a relatively short period of time, Playa Resorts has built up an impressive line up including Hyatt Ziva, Hyatt Zilara, the all new Panama Jack Resorts, along with the recently announced Sanctuary in Cap Cana in the Dominica Republic. The Spotlight Awards event was a gala affair, whereby finalists in various categories from across Canada and the United States gathered to celebrate all things Playa and find out who had been selected as winners of the coveted “SpotLight” award. It afforded senior members of the Playa team to spend some quality time with their key producers while thanking them for their continued support. If you are looking for a solid update on Playa and the many things that are going on, this is it. Get brought up to speed, sort of speak, and hear it straight from the big boss. Take a few minutes of your day and listen to what Mr. Froemming has to say.